We don't discriminate. 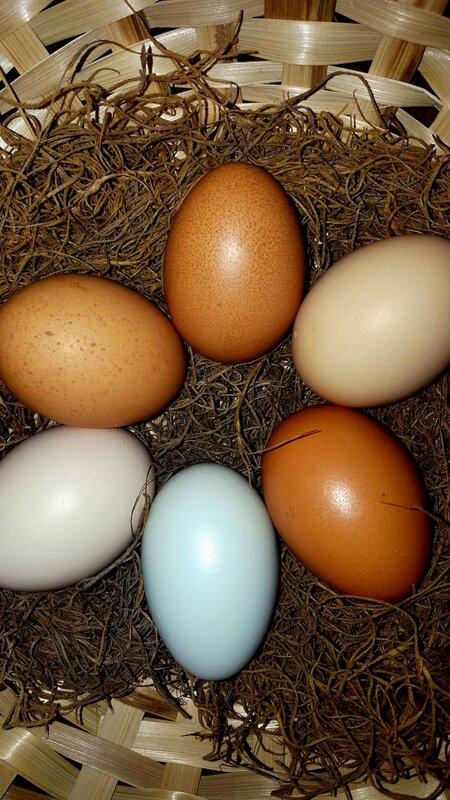 Our eggs are blue, green, brown, cream, speckled, spotted, and dotted! Don't worry about cracking a green egg open; the yolk is still yellow. The only difference in egg taste comes from the diet and lifestyle of the chicken that lays the egg! In other words, the healthier the chicken, the healthier the egg. We just let our chickens do their chicken-thing in the great outdoors and the bright sunshine. We believe happy, healthy chickens make the best tasting, highest quality eggs. Whether they are basking in the sun, bathing in the dust, or chasing bugs through grassy fields, the strong, active immune systems of our chickens allows us to forgo antibiotics, hormones, and other drugs. Our chickens forage in the woods, scratch in the pastures, and are supplemented with non-GMO, non-soy feed, wild bird seed, and kitchen scraps. 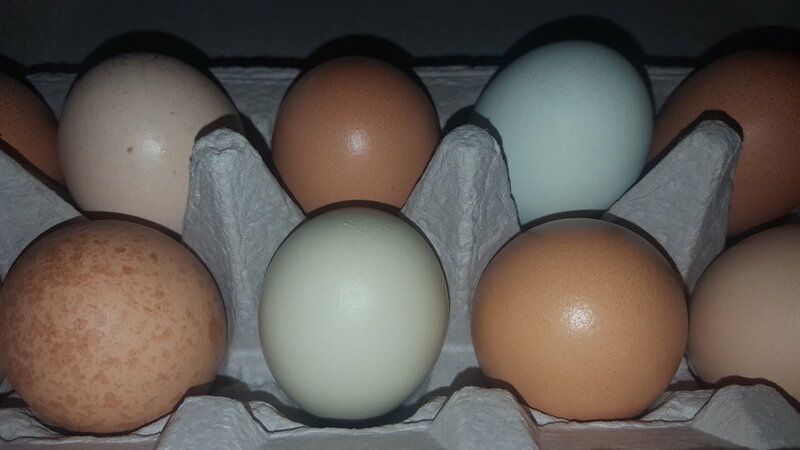 Pastured eggs available weekly for $6/dozen at Tyler Rose City Farmers Market on Saturdays, 8am-12pm.